I want to change my image, my status, my name on WhatsApp. 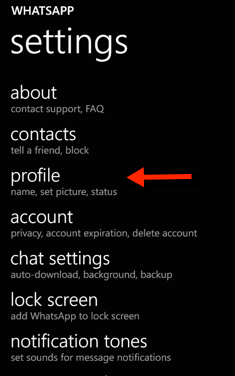 How to change my WhatsApp Photo on Windows Phone? 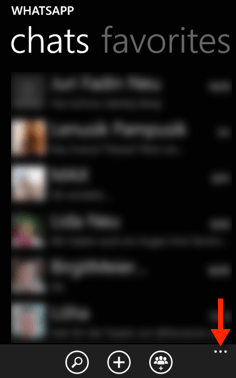 How to change my WhatsApp Status on Windows Phone? 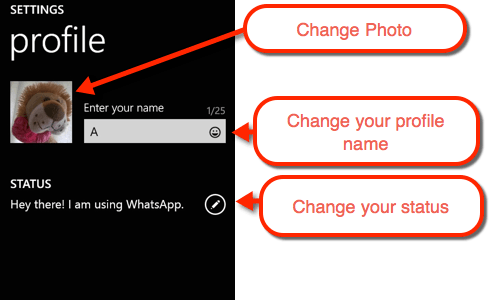 How to change my WhatsApp Name on Windows Phone? This page was last modified on 16 September 2014, at 14:59.